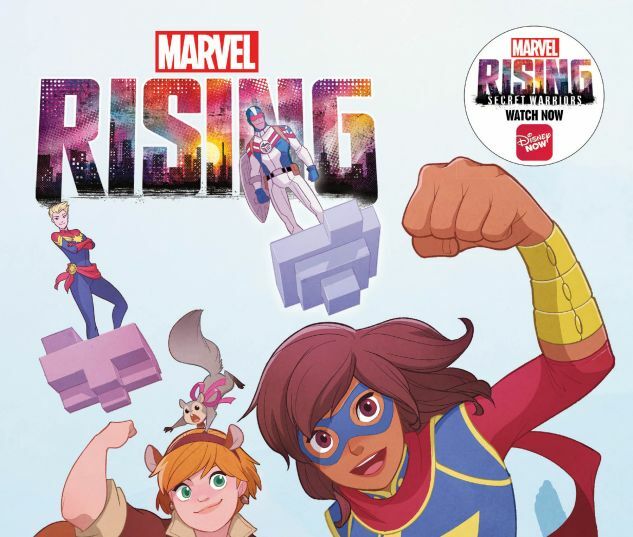 Collects Marvel Rising #0, Marvel Rising: Alpha, Marvel Rising: Squirrel Girl/Ms. Marvel, Marvel Rising: Ms. Marvel/Squirrel Girl And Marvel Rising: Omega. Squirrel Girl meets Ms. Marvel — for the very first time! When Doreen Green volunteers as head counselor for an extracurricular computer-programming class, little does she know junior counselor Kamala Khan also moonlights as a crimefighting super hero! But this coding configuration is more than just ones and zeros when a mysterious new super villain shows her face! Ember Quade can bring video games to life — and that just raised the stakes to a whole new level! Can Doreen and Kamala save the day without blowing their secret identities? 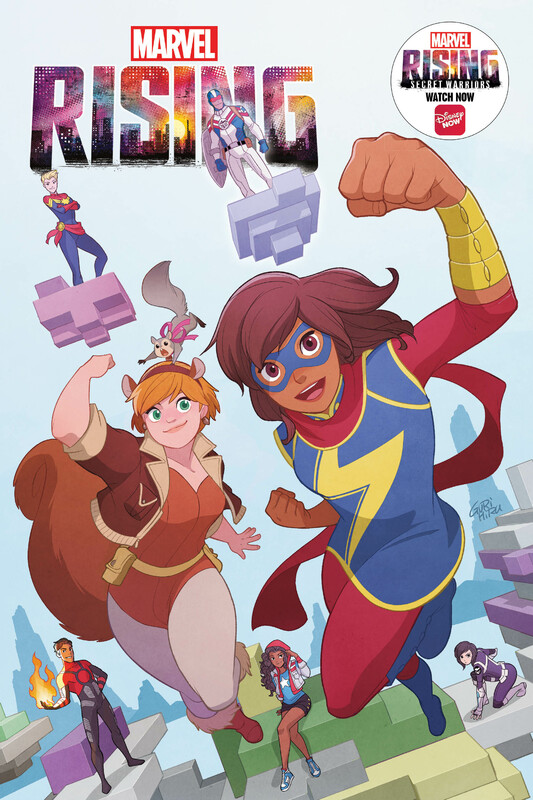 Join Ms. Marvel and Squirrel Girl — and a few special guests — as they learn what it truly takes to become the next generation of Marvel heroes!